Facebook's Newest News Feed Option..."See First"
May 4, 2017 Social MediaBy DEANknows! Most of us are aware that Facebook is a business. Facebook has more of a purpose (to its shareholders) than simply posting about what offends us, posting our favorite bathroom selfie or sharing a photo of our latest meal. Facebook is an advertising machine. All of the information you freely give to Facebook about where you go, what you’re like, who you are friends with, what you purchase, where you live, if you are married etc is used for hyper targeted advertising purposes. Many of us remember back when you attempted to get as many “likes” for your business page so your business related post would show up in peoples News Feeds. Most also remember Facebook’s changes in which you now have to pay (either “boost your post” or run a full ad) in order for your Business Page’s posts to be seen. Your Business Page’s “post reach” and thus the Facebook engagement has plummeted without paying to play. 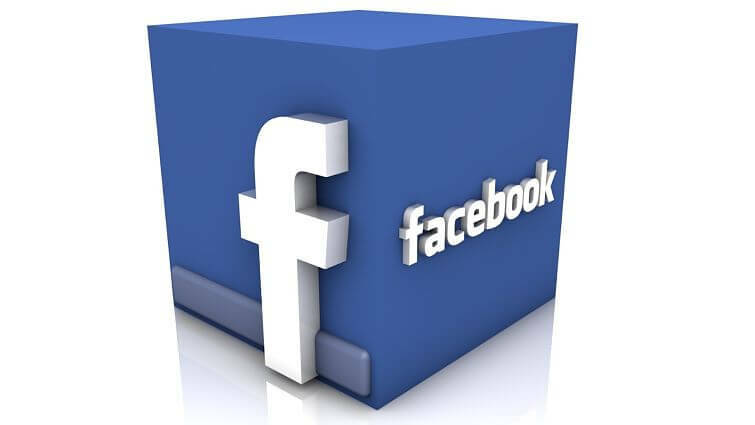 Now…there is a new function that Facebook Marketing will be going after. It’s the “See First” option now on your News Feed. Now if someone is on your Business Page and chooses “See First” they will see EVERY post from the respective business page with a blue star. This is extremely powerful as it has the ability to circumvent paying Facebook to get eyes to your Business Page Posts. This now let’s standard Facebook users manipulate their news feed into what more specific Social Media outlets deliver. For instance, if you are a news junkie, you can now “see first” your favorite News Based Facebook Pages which will turn your Facebook News Feed into a pure news reader. If you choose to “See First” a variety of Shopping and E-Commerce brands, your Facebook News Feed will become the place to make your next purchase—only seeing brands or retailers that you have chosen. This new feature can cut both ways for Facebook Marketers. It is further diminishing the efforts of those who had run Facebook Advertising Campaigns to acquire “likes”. Every day, those “likes” become less and less powerful. On the other hand, if you deliver quality content that users don’t want to miss, (and they “See First” you) you can now have your Facebook Business Page’s Post front and center for FREE. To set your SEE FIRST Facebook News Feed to see all of DEAN Knows posts 🙂 simply to the top left of your Facebook Wall options. 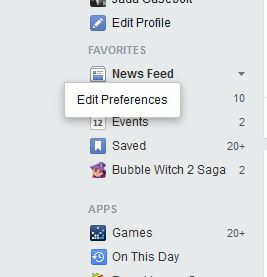 From there, click the little gear to adjust your News Feed Preferences. Once you are looking at your News Feed Preferences, you will see your most viewed content. You have the option of choosing any of the above to “See First” on your Facebook News feed—but what Facebook Advertising Gurus will want you to do is choose the Pages option. From there, you have a drop down to choose how these pages will display in your News Feed. From there, you can now choose “SEE FIRST”. As you can see, this takes a little work to do. This is going to be a little challenging for marketers to convince users to go through this process. What I see happening is a quick piece of code being developed which (upon allowing access to your Facebook settings) will do this for you. I don’t see Facebook making any big moves to make it easier as widespread adoption of “SEE FIRST” as it diminishes their advertising options. Now you know exactly how to see every one of DEAN Knows… posts! It will be fun to see how some savvy Social Media Marketers use this new feature in the months to come.